"This is when the operatic section comes in." 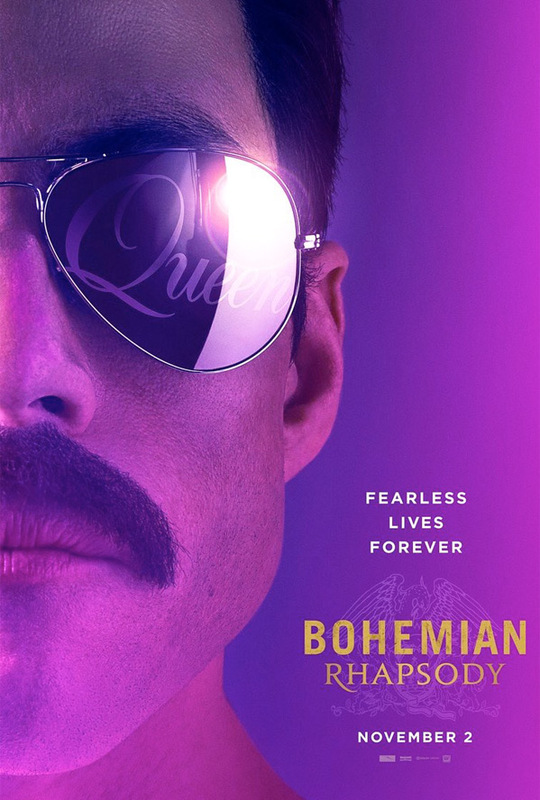 20th Century Fox has debuted the first teaser trailer for the highly anticipated Bohemian Rhapsody movie, telling the story of the famous 80's rock band Queen and their extraordinary lead singer Freddie Mercury. Rami Malek stars as Mercury, in this exciting, energetic chronicle of the years leading up to Queen's legendary appearance at the Live Aid (1985) concert in 1985. This is also the movie that was being directed by Bryan Singer, before he was fired and replaced by Dexter Fletcher while in production. The full cast includes Lucy Boynton, Gwilym Lee, Ben Hardy, Joseph Mazzello, Aiden Gillen, Tom Hollander, and Mike Myers. I've been waiting to get a glimpse at this, and it looks great so far! There's a health amount of good footage in this first teaser, but I'm very happy with our first glimpse and I honestly can't wait to see more. Rami looks out of the world amazing in this. Rock on.